Madison received her Bachelor of Science in Communication Disorders and her Masters of Science in Speech-Language Pathology from Appalachian State University. She is certified by the American Speech-Language-Hearing Association (ASHA) and South Carolina Board of Examiners in Speech-Language Pathology and Audiology. 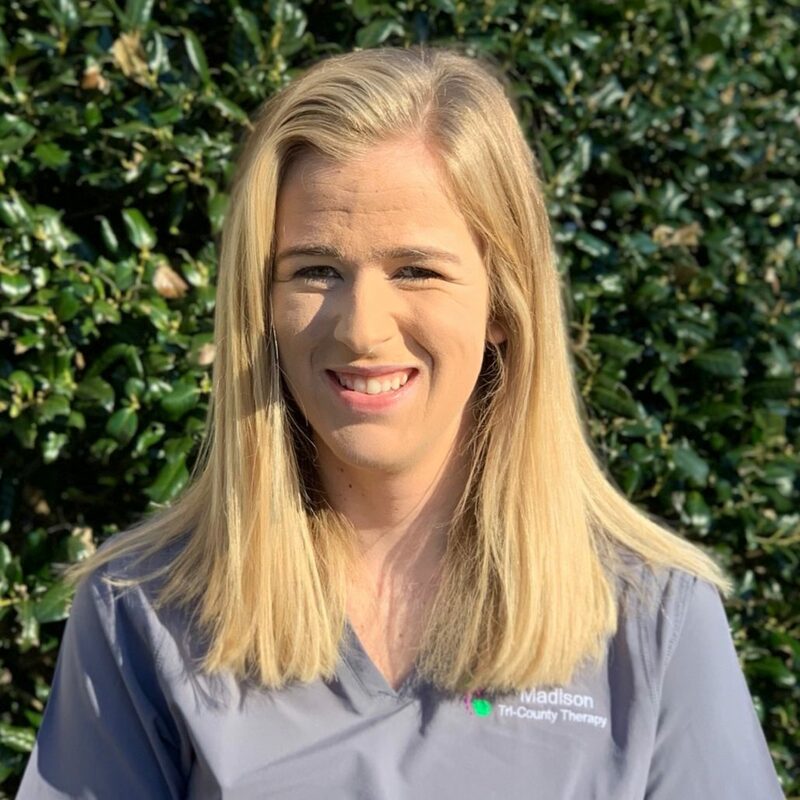 Madison previously worked as a school-based SLP with deaf, hard of hearing and visually impaired students before working with Tri-County Therapy. She has a particular clinical interest in Apraxia of Speech, hearing impairments, speech sound disorders (articulation and phonological) and feeding disorders. In her spare time Madison enjoys running in races, being outdoors and line dancing.